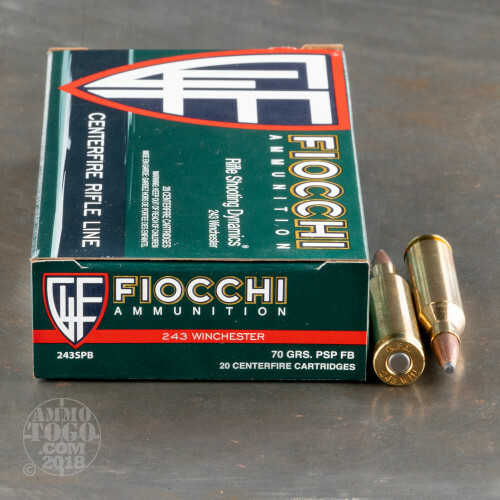 This 243 Win cartridge is perfect for hunting medium-sized game such as whitetail and pronghorn thanks to its 70 grain pointed soft point projectile. 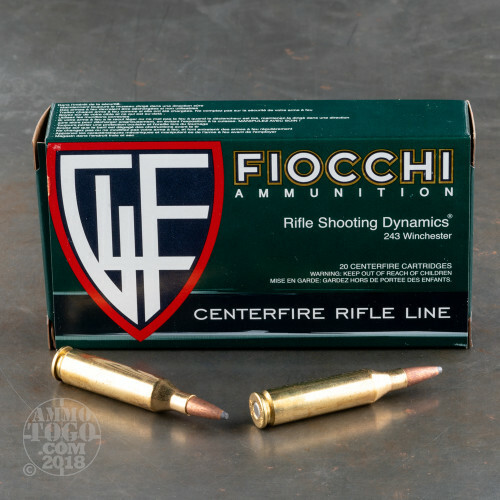 The round is loaded with propellant that consistently produces a fast 3,400 fps muzzle velocity, which along with its bullet’s streamlined profile gives it great accuracy. The pointed soft point bullet’s jacket will easily work its way through a buck’s hide, wherein it will control the rate at which its exposed core causes mushrooming. Fiocchi gives hunters fantastic value for their money. 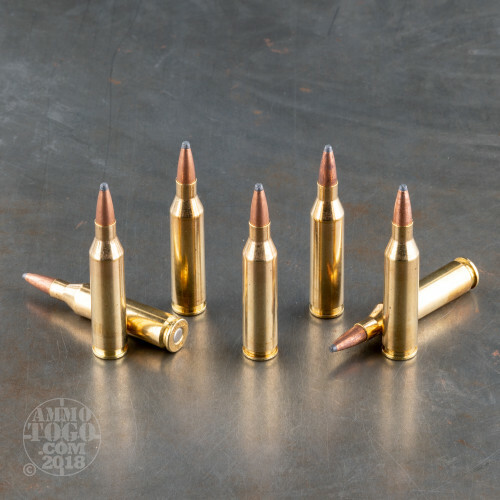 This round’s brass casing is sturdy enough to endure multiple handloadings, and its exact dimensions will let it feed in and out of your rifle reliably. 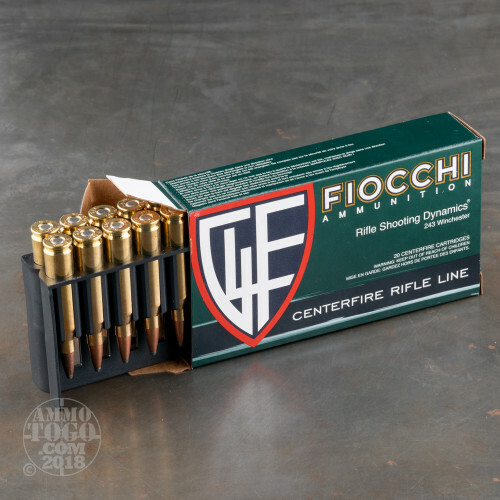 Fiocchi’s non-corrosive primer won’t degrade quickly with time, so you can sit on these rounds until the right moment arises, and because it ignites clean you needn’t clean your rifle out in the field when you’d rather be shooting.